Milan, Italy - April 19, 2018 - Panasonic is introducing its installation, "Air Inventions" at Milano Salone 2018, which is being organized in Milan, Italy from April 17 to 22 , 2018. This comprehensive installation, which combines a wide range of Panasonic's unique technologies in air conditioning, audiovisual, and lighting was very well received and won the Best Technology Award at the Milano Design Award 2018. Panasonic has won 3 consecutive awards at Milano Salone, starting with the People's Choice Award in 2016 followed by the Best Storytelling Award in 2017 and the award it won this year. 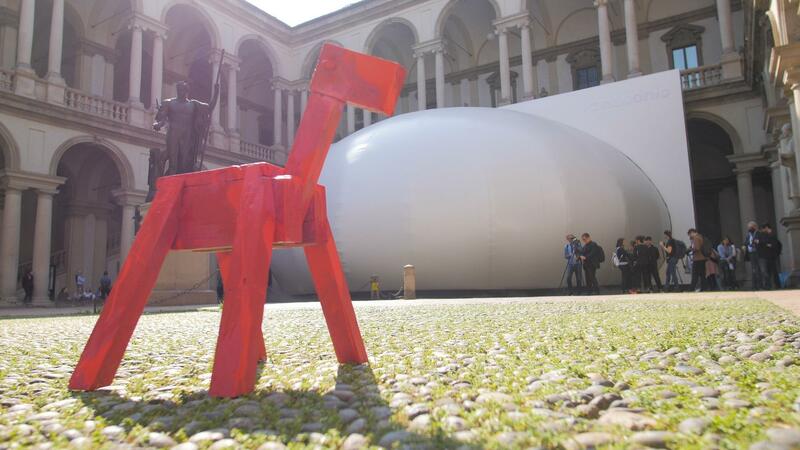 The Milano Design Award is an official competition of the Milano Salone produced by the Fuori Salone and hosted by other organizers. In 2018, they added 5 awards in addition to the grand prize. The "Best Technology Award" that Panasonic won this year is given to extraordinary solutions and proposals that help address and resolve pressing social issues. Panasonic's installation was highly praised for "For the ability of the installation to return an experience of technology as intangible as it is unique and relevant, involving the visitor and proposing a sensory orchestration of great impact". Panasonic's theme at Milano Salone this year is "TRANSITIONS." It embodies Panasonic's strong commitment to make the transition from a company that has designed "products" to a company that will design the intangible, people's feelings, experiences and all over the next century. "Air Inventions" features an air dome 20 meters in diameter designed to resemble a drop of water set up in the courtyard of the Pinacoteca di Brera. By combining "nanoe X technology," which purifies air and the "silky fine mist," which micronizes water with high pressure air, Panasonic has created the "most beautiful and clean space in Milan." Within the dome, super bright 4K laser projectors and the high performance, high image quality fisheye lens create a mist-filled world of fantasy. 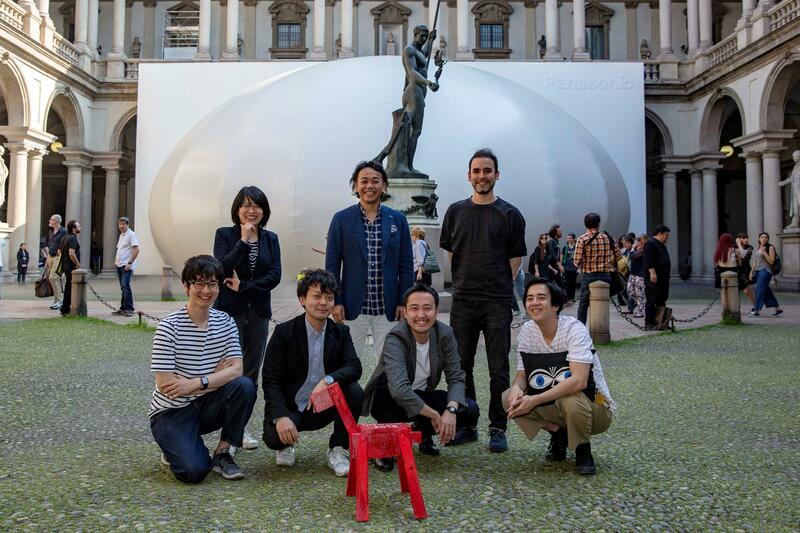 Project leader, Shigeo Usui from the Design Center, Appliances Company, Panasonic Corporation stated, "To set up a dome and design something invisible like air in a historical environment like the Pinacoteca di Brera was a great challenge. Depending on how many people were inside, we changed the mist density to create a once in a lifetime experience. Please look forward to more from 'Transitions' by Panasonic design." The leader of the team that developed the "silky fine mist," Panasonic's Manufacturing Technology Division, Environmental Manufacturing Innovation Center, key engineer, Daisuke Tabata said, "I'm lost for words. Many people helped make this possible. In Milan, we were able to get feedback from many visitors first hand. We will continue to conduct research and development so that this technology may help better society." Panasonic will continue to accelerate its transformation to create new value.